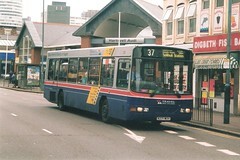 This collection of Wiki pages describes bus routes operating within the metropolitan borough of Solihull in the West Midlands (although the majority also operate, to a greater or lesser extent, within Solihull's larger neighbour Birmingham) with a particular emphasis on their 'recent' history (last 44 years). 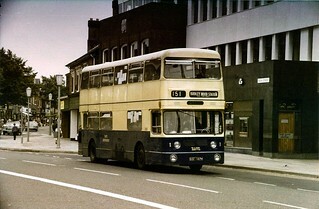 The 3 December 1973 was a significant date for Solihull's buses. 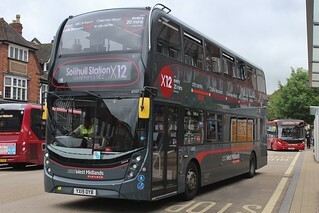 Bus services in Solihull were originally provided by the Midland Red bus company but from this date all services operating within the new West Midland County were taken over by the recently formed West Midlands Passenger Transport Executive (itself formed from, most significantly, Birmingham City Transport). 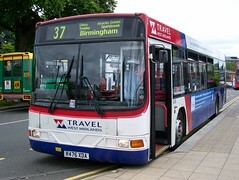 Instead of the long held agreement that Birmingham buses would not operate beyond the city boundary whilst Midland Red's generally less frequent services would charge fares above that levied on the Corporation buses to discourage 'local' passengers, in the years that followed route and fare integration occurred with, in some cases, many further changes also occurring since deregulation and the formation of West Midlands Travel (now operating as National Express West Midlands) in 1986. National Express West Midlands (West Midlands Travel Ltd) remains the major operator in the borough and whilst they are the direct descendants of WMPTE and hence BCT (just look at the name engraved above the entrance to NXWM's Yardley Wood garage), have we in some ways come full circle since 1973 as not only were WMT Ltd parent company originally formed out of the National Bus Company subsidiaries coach routes which included Midland Red's longer distance routes, but now NXWM's latest crimson livery means, 44 years on, we are once again seeing scarlet coloured buses operating in Solihull. For the early history of the buses of East & Southeast Birmingham I recommend the book 'Birmingham Buses Route by Route 1925-1975' by Malcolm Keeley, although there is also some info here (A transport history of Yardley, by P L Hardy). 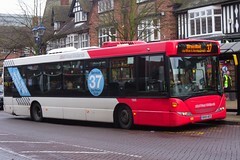 This link also states that Midland Red services along the Stratford, Warwick and Coventry Roads commenced in 1914. 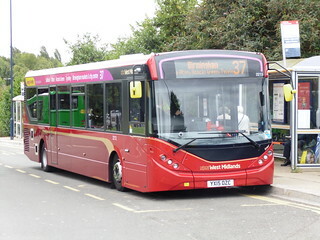 It is hoped the Services section of the MidlandRed.net website may in time include further detail on the early history of Midland Red routes in the area. The 1973 transfer of services described above most significantly affected the boroughs of Solihull and Dudley. The article reproduced here lists all of the services involved, with further information about the transfer here. Most of the following pages were originally written on Wikipedia but were not deemed appropriate for that forum so have been re-hosted on UK Transport Wiki. Individual page info has largely been sourced by myself from maps and timetables (plus ref West Midlands : a history of West Midlands Passenger Transport Executive, M Keeley 1988) with additional details also provided by others. It is hoped to complete the above by 2025. Comments welcome, alternatively UK Transport Wiki is open edit.